By joining the program, our mutual customers will now benefit from the combination of Oveit’s embeddable ticketing and event registration technology with Stripe’s seamless payments platform. Oveit aims to provide event planners and venue managers with the best tools to help them sell tickets, register visitors and setup cashless payments. Our app provides an easy to use cloud solution that can be embedded in virtually any website, thus allowing a better customer experience and improved conversion rates. We’ve built our tools around some of the pain points we noticed for event ticketing. Oveit makes it easy to set up and start selling tickets instantly. Payments are transferred directly into the event planners account through our Stripe integration, thus improving cash flow. Oveit can be easily implemented by just copying and pasting a short code on the event’s website. Integration with Stripe is done by simply clicking a button. We support all of Stripe’s currencies so users all across the world can use Oveit to sell in their local currency. From concerts to theme parks, from festivals to business conferences, we provide the most relevant tools our users will need to create the experiences they have envisioned, without complicated software interfaces or integrations. Our vision is to help event planners and venue managers connect with their visitors before and after tickets are purchased. That is why we have set up a streamlined ticketing, registration and payment process but also the tools to interact with visitors after they have arrived. By using Oveit event managers can set up activation campaigns within the venue, lead collections for sponsors and partners as well as cashless payments systems using NFC tags. Although the title of the article refers to a small piece of plastic, it really focuses on something much more important: the way in which technology can dramatically improve the experience you offer through events. It’s not the first time when we talk about how #eventtech allows us to create better experiences. It’s also not the first time when we talk about NFC technology and how it can be used within events. But today I want to retake together the customer journey and see how “a small piece of plastic” can make a BIG difference. For everyone involved: event planners, security team, sponsors, vendors, and most important…attendees. Festival-goers attend your events for the memories that will remain with them forever. They want to have fun and your ultimate goal is to make sure they will. But their fun means many sleepless nights for you and your team. It means speed, accuracy, well-crafted messages, information, and sweat. Here is the journey attendees will take at your festival and here is how this small piece of plastic will lead their way. Let’s start with check-in, the first on-site interaction between you the attendee. Queueing is one of the biggest problem festival goers (and planners) face and that small piece of plastic can dramatically change things. How? 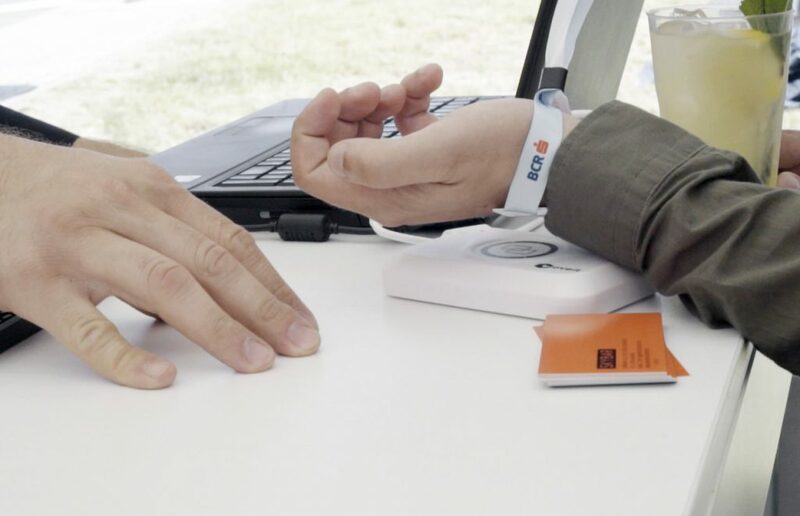 If you pair the festival NFC wristband to the ticket and attendees receive them before they actually arrive on site (via mail or pre-registration parties) the check-in process will become much faster. And what a better way to welcome your attendees than a queueless view? It can also be used to access different areas on site will not just allow attendees to do this, but it will also capture their information. Schedule a live demo to find out more about our cashless payment solution. With the right tools, attendees are more likely to interact with your sponsors. And to make this process as easy as possible we have developed our integrated NFC technology so that it can be used to allow your partners to collect information from your attendees. With their explicit consent, of course. 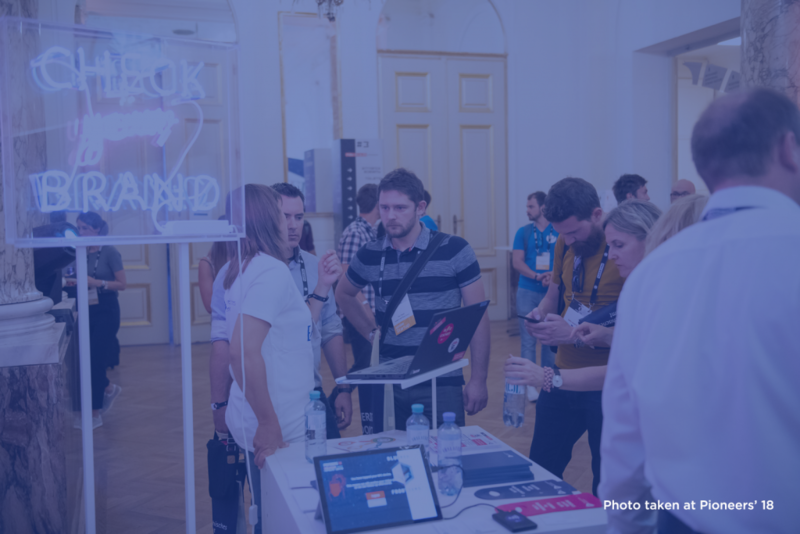 Any attendee can express interest by simply tapping the wristband, allowing the exhibitor to collect data and follow up instantly. The flawless of this process encourages attendees to interact with the brands that they are interested in. They don’t need to spell their names or type in their email address, two of the most common reasons for which people tend to avoid sponsor interactions within festivals or concerts. There are many benefits of using NFC technology, but this article was just about 3 of them. Another important aspect is that having all that data in one place, you can use it to create better experiences within your future events.